On Sunday 11/5, we welcomed Jennifer Helriggle, Vice President of Philanthropy for Shepherd's Hope to receive the 2017 Hope Prize. For the third year, Hope gave 1/10 of July donations to a non-profit selected by the congregation. 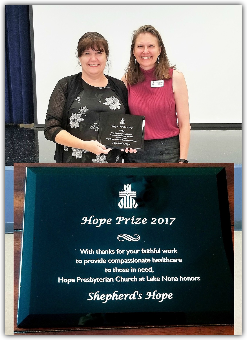 Throughout July we received nominations for a health & wellness nonprofit (in keeping with our 2017 focus on health & wellness) to receive the Hope Prize. During the first three weeks of August, all ages within the Hope family voted for the recipient. Shepherd's Hope operates five clinics throughout Greater Orlando, in which medical professionals volunteer to provide exceptional health care to the under-insured. Thank you, Shepherd's Hope, for your extraordinary work. Thank you, Hopesters, for seeing the need of the world around you and giving generously! Just after Easter we heard from Debbie Scott-Robinson and her husband Paul, who spoke about Utange Orphans Charity and the way it meets concrete needs in Kenya. Debbie & Paul established the orphanage 10 years ago. It houses 24 parent-less children -- but as many as 500 other orphaned children have been taken in by community members. With scarce resources, these poor-themselves neighbors often can only feed a needy orphan every few days, Debbie says. So the Robinsons launched Feed500, which provides a meal for orphans each Saturday and sends them home with a bag of maize to share with the family that's caring for them -- so they can all have something to eat during the week. Each Saturday in Utange, 500 orphans walk to the Action Centre for the meal, cooked for them by local volunteers. It takes some of them over an hour to get there. Some of them are just toddlers and some of the children are carrying babies not yet able to walk. 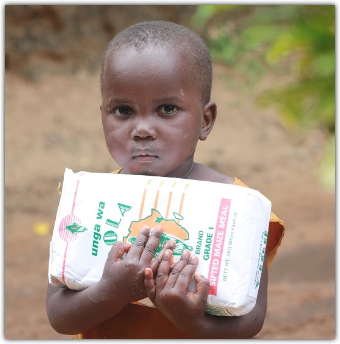 Approximately $7.50 will feed one orphaned child for an entire month, Debbie and Paul told us. We're inviting Hopesters and friends to consider giving an extra $7.50 in May and designating it "For Kenya." We'll forward our combined gift to care for these precious ones in early June. Friends, for less than the cost of two lattes, we can change a life. Let's live like we get it! Each year since we launched in 2012, Hope has offered Lenten Communities -- short-term electives designed to help us grow deeper with God and others. At least one of these offerings is always a "Virtual" community -- allowing participants to accommodate their unique schedules while connecting in a digital community for growth and accountability. In 2017, our digital offering will be "Journey Through the Psalms" -- reading all 150 Psalms during the 40 days of Lent. Those who sign up will receive a brief introductory email on the Sunday prior that includes a link to the week's digital community bulletin board. Non-threatening questions offer readers a chance to reflect and engage each other. 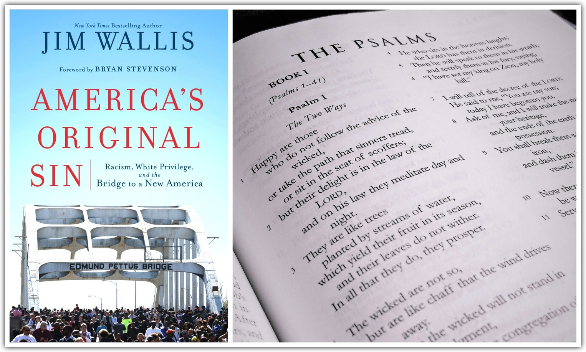 In addition, we offer a book club with two face-to-face gatherings on America's Original Sin: Racism, White Privilege & the Bridge to a New America by Jim Wallis. We'll read on our own -- then gather with friends from Washington Shores Presbyterian at WSPC on Sundays 3/19 and 4/2 from 2-3:30 pm. We'll take pre-orders for a box lunch from Honeybaked Ham if Hopesters are interested (the WSPC folks will just be exiting church). In our first gathering, we'll address Chapters 1-5; on 4/2 we'll discuss Chapters 6-10. We have several copies of the book available at 50 percent off ($11 each). Sign up at church or email Nancy at hopenona@gmail.com. 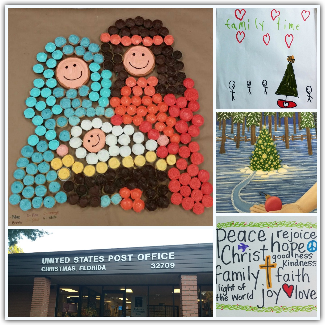 This week our staff signed and mailed the 2016 Hope Christmas cards, with designs submitted by members of the Hope family. The envelopes bear the postmark of Christmas, Florida. There may be a reward from "The Amazing Treasure Chest of Mostly Useful Prizes" for observant recipients! This year we'll also use extra copies of the Cupcake Nativity to acknowledge gifts toward the purchase of a $1,500 Village Garden Well through the Presbyterian Mission Agency. (Those who contribute a gift in honor or memory of another may take one of these cards and enclose a note describing the designation.) 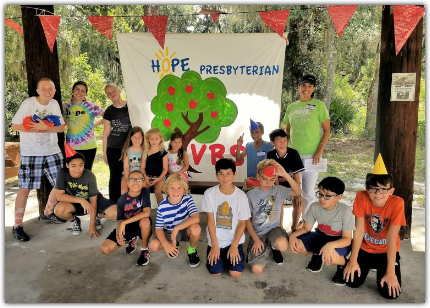 What a great way to share the vision of our congregation -- showcasing both our deep commitment to serve others and our overarching sense of fun! Merry Christmas, All! It's such a privilege to be on this journey with you ... to serve with whole-heartedness and have fun to boot!